I’m not much of a newspaper reader, but I did pick up the Work section of last Saturday’s Guardian, which had been left on the seat of my train home from Gathering Momentum. 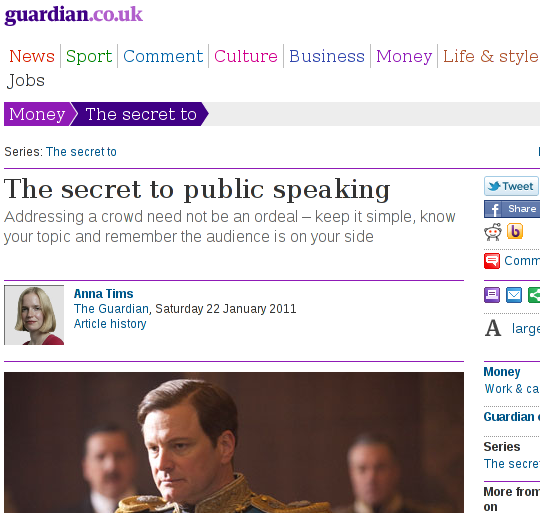 The front page advertised a guide called The secret to public speaking. Once you cut past the decision to hang the whole thing on a recently released film, there’s some useful hints and tips.